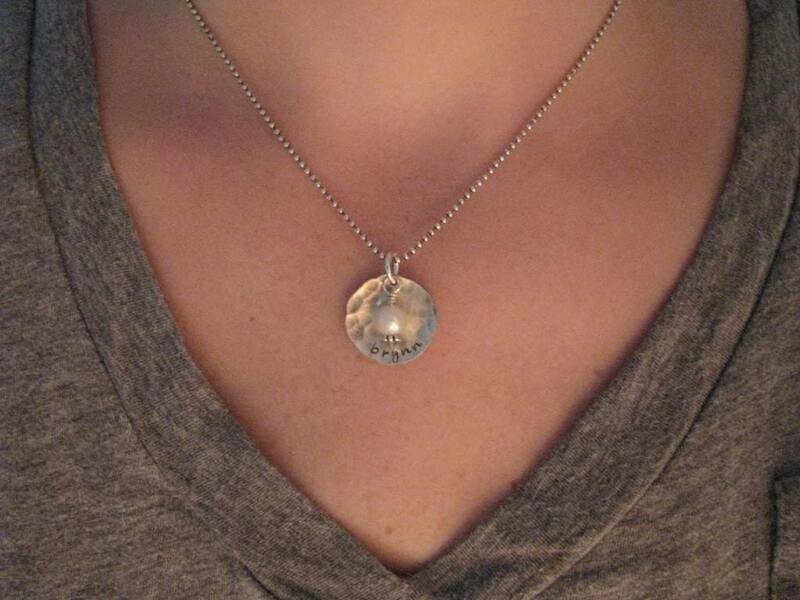 This necklace features a hammered sterling silver disk which is oxidized for an antique finish. 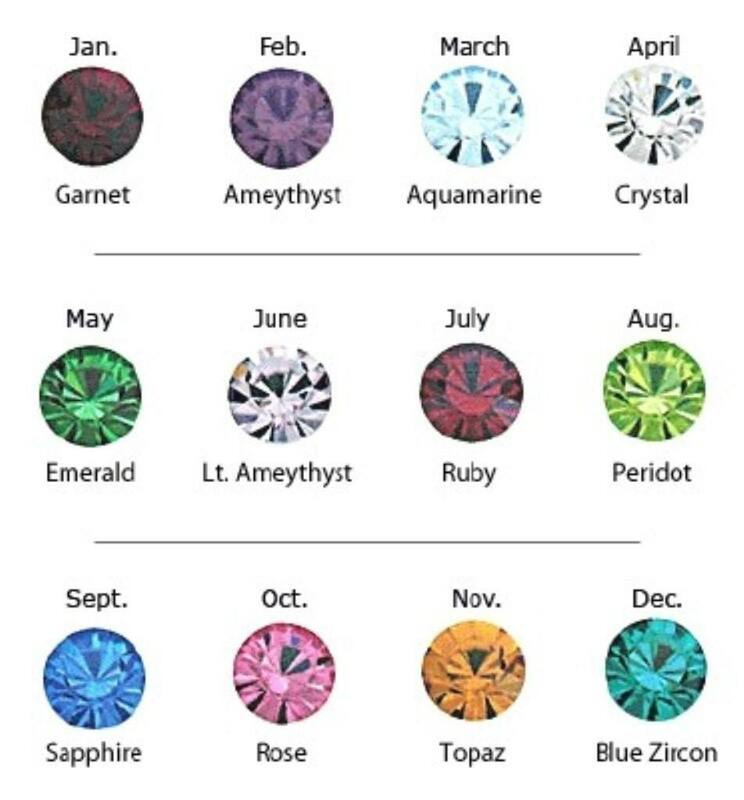 The pendant is domed to cup a swarovski birthstone or pearl. 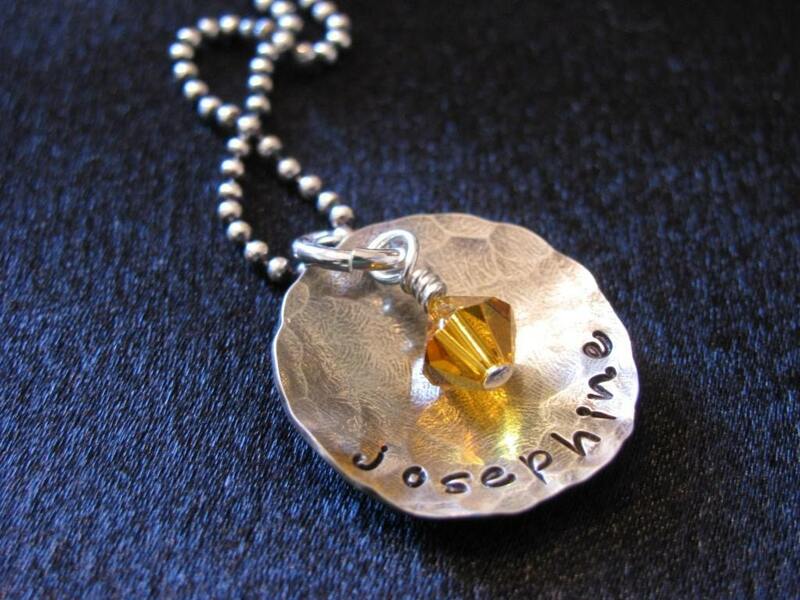 ►In the 'add an optional note' message box, please leave name to be stamped and birthstone. 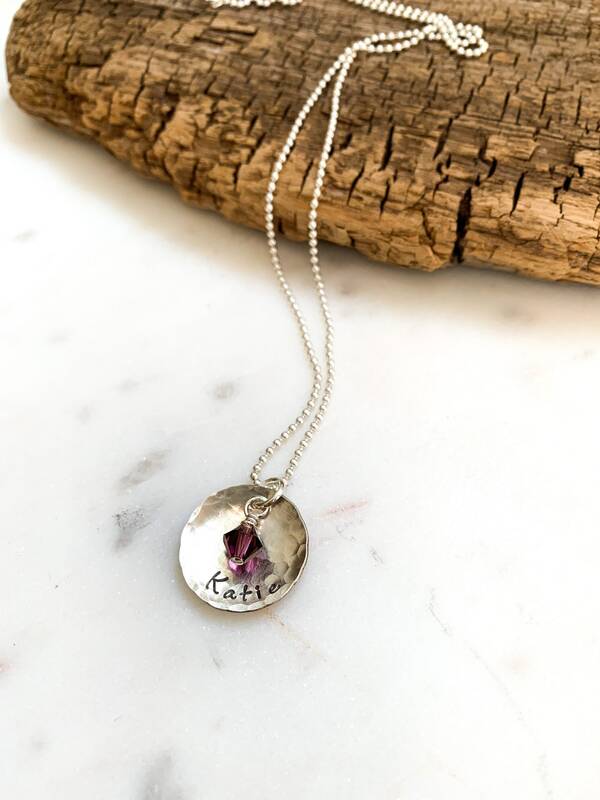 Note: This necklace is best with one name but can accommodate two names. 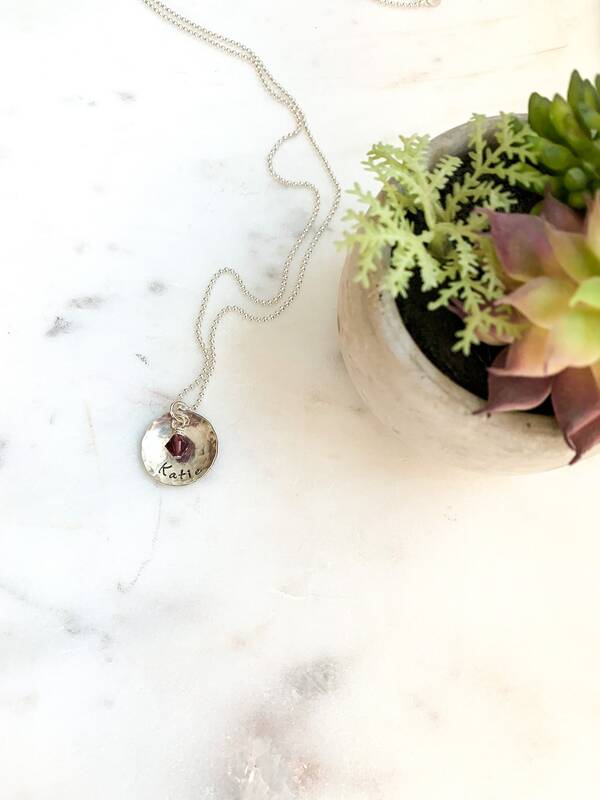 ►Chain material- Standard oxidized sterling silver ball chain. Love my purchase and I know my granddaughter will love it too. Can’t wait to give it to her on her birthday. Thanks so much.